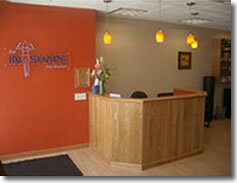 After 50 franchises in Massachusetts, Get In Shape For Women is now expanding nationwide! Don't miss your chance to get in on the ground floor. Why is the GISFW fitness model better? 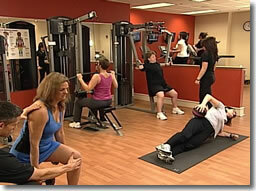 Why purchase a Get In Shape For Women Franchise? Our President and Founder has been operating personal training studios for over 15 years. He has gone through the start up of over 75 studios, each and every time learning something new to improve the system. This experience has enabled him to develop a proprietary start up process saving the franchisee thousands in costs and hours of aggravation. The Process of Opening and Growing your business! >Please note this franchise is accepting inquires from within the United States ONLY. Interested parties should have at least $60,000 to invest. Click on Request Information for FREE info on how to open a Get In Shape For Women franchise today! Please Note: This Get In Shape For Women franchise opportunity and other franchise business opportunities, businesses and franchises for sale on this web site are not to be considered as an "offering", "franchise offering", suggestion or recommendation by Franchise Leader™. This advertisement depends entirely on the truthfulness of the information provided by our advertisers which includes, but is not limited to, franchisers, franchise brokers, franchise consultants and business brokers. Franchise Leader™ recommends that you consult a lawyer, financial consultant, accountant or professional advisor before buying a franchise or business opportunity or any type of business. By using this form or any part of our website, you have agreed to all terms and conditions of Franchise Leader™. Please review our Terms & Conditions for more information.